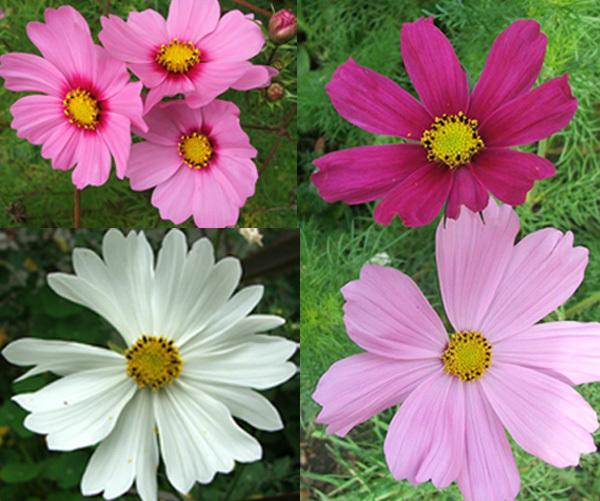 I first liked the look of white Cosmos flowers, and bought seed of both the tall and short white versions. From these, somehow, I have acquired the full range of colours, including a rather strong magenta. 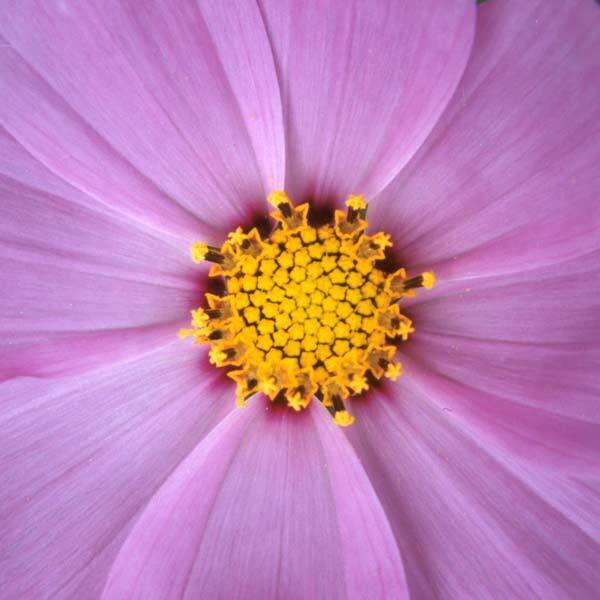 I collect seed now from all the different colours, and get much enjoyment from natural colour combinations of Cosmos. One of my favourite colours is a pinky lilac, which I encourage to grow between many of my roses. Flowering time is perfect - normally just before the second major rose flowering period. Even though I mulch the borders quite heavily over winter, somehow the seedlings still appear in late spring. Of course they decide exactly where they want to be, and are forever springing surprises. They are never greedy for space - they just fit in, without squashing anything.